Intuitive interaction and interface design: We have grouped the features and made navigation easier. Course and training activities are separated. One account - multiple courses: Students can use one account for all different courses and training. Student-managed accounts: Students can have a personal email address and manage their personal account. Comprehensive course overview: All the information about courses is in one place. The new information is first. 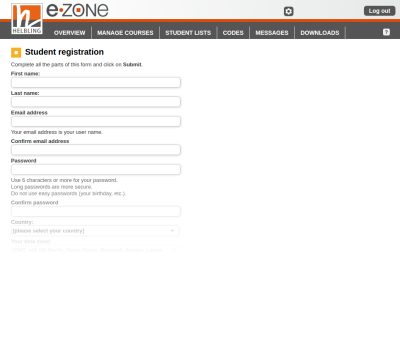 Click on Student registration and fill in the registration form. You will receive an email with a link. Click on the link to activate your account. When you receive the confirmation email, click on the link to make your account active. 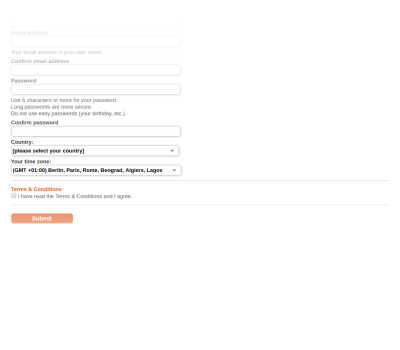 To use your account, you need to confirm you email address. When you receive your registration email, click on the long link. Every time you want to log in, use the login on the email. If you do not receive any confirmation email, please contact ezone@helbling.com. You and your teacher have your login: a user name and a password. Type them and click on Log in. You have your login: your user name is your email address. Type your password and click on Log in. If you don’t remember your login, click on Forgot your login data. Your teacher has your login: ask your teacher. You have your login: if you don’t remember your password, type your email address, click on Submit and wait for the email with your password.